By Deborah Brean, Managing Director, Crystalus Inc.
Canada has long debated establishing some kind of development finance entity, as a means of advancing the country’s international assistance efforts while supporting Canadian firms and projects in developing countries. The recent announcement in 2015’s Federal Budget, that a new Development Finance Initiative will be housed within Export Development Canada (EDC), is a welcome addition to Canada’s international funding toolkit. What should it do? And how should it do it? These questions – easy to ask – are challenging to answer. In recent years, the global development finance space has reinvented itself. Bricks and mortar development finance institutions – both national and multilateral – still have influence; but they are quickly being eclipsed by powerful new sources of capital and know-how, including private funds, major foundations, and capital markets. In 2014, for example, government-backed financing to emerging economies totaled USD 34 billion, while financing from private investment funds were triple that amount. For the Development Finance Initiative to be relevant and successful, Canada must correctly answer the “what” and the “how” questions. This requires careful thought in three areas. 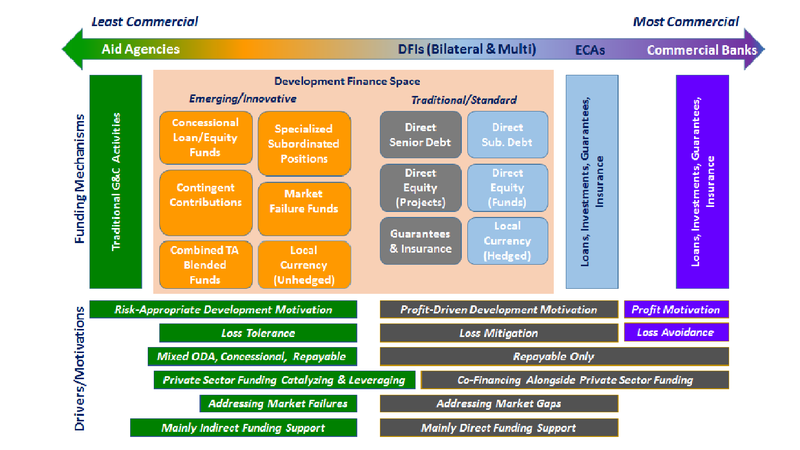 Development finance occupies a large space within the international development, trade, and investment spectrum, as shown below. This space includes traditional development finance institutions (both bilateral and multilateral) providing debt, equity, and guarantees directly into projects and via fund managers and other intermediaries. But the fastest growing space is to the left, between traditional aid/grants and traditional development finance. Here, myriad market players and financial instruments seamlessly blend public and private resources (not just dollars, but people and networks) to achieve development results while generating financial returns. In fact, this so-called “blended finance” segment is a major focus area for Western governments, including Canada. Finance for private sector development in poor countries is no longer a public monopoly. Among the powerful new players – including prominent Canadian entities – are non-government organizations (such as major foundations), fund managers (providing private debt and equity), and investment banks. Even among public players, a dizzying array of funding approaches are on offer, including concessional vehicles, partial risk guarantees, patient capital structures, and arm’s length investment trusts. Canada’s Development Finance Initiative will have to decide how it fits in, and with whom it partners for optimal results. The development finance space has its own drivers and motivations, which are quite different than the trade and investment funding space. Moreover, even within the development finance space, different motivations can hold sway among various players, in such areas as loss tolerance, risk appetite, direct versus indirect funding support, and leveraging versus co-financing. The Development Finance Initiative’s modus operandi must recognize these drivers, and complement them. Canada’s Development Finance Initiative is clearly an idea whose time has come. 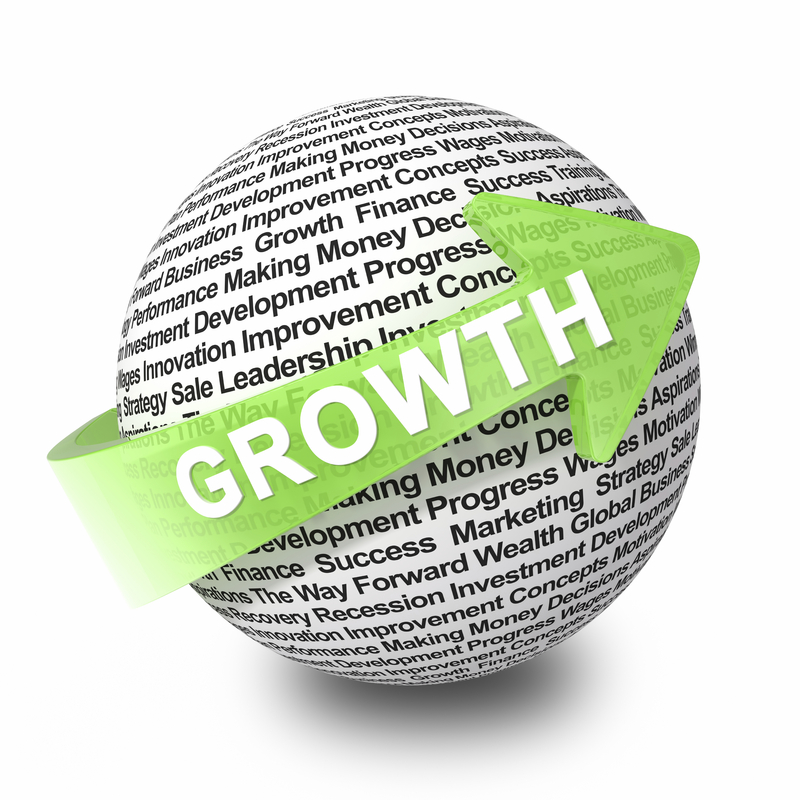 It holds tremendous potential to help transform developing countries while enhancing Canadian competitiveness abroad. Canada can realize this potential by being nimble, engaging, and savvy. Deborah Brean is Managing Director of Crystalus, Inc., an international advisory firm specializing in finance, risk management and corporate strategy. She advises a wide range of clients on development finance and institutional strengthening, and has over her career closed financing transactions exceeding $1.0 billion. She can be reached at dbrean@crystalus.ca.